Cities are serious business – economic powerhouses with their own delicate ecosystems – but that doesn’t mean designing them shouldn’t be fun. In Barcelona they made it a game. Like a Spanish translation of SimCity, the popular ’90s video game for imagining cities that plays on Nintendo’s moustachioed mascot Mario, SuperBarrio offers real residents the chance to determine how their barrio, or neighbourhood, might operate. Residents test the 3D software, redirecting traffic around the highly dense Superblocks, part of an urban regeneration plan to allow for more pedestrians and fewer cars, and minimise pollution. Swinburne University’s virtual program for the public to participate in urban planning. Barcelona’s SuperBarrio software for city planning. At Swinburne, Burry’s team is building its own version of SuperBarrio where citizen players can see the effects of city planning, like densification and the cost of implementing infrastructure such as trees and furniture. Together with Boston’s MIT Senseable City Lab, Swinburne’s SCRI turns its attention to Fishermans Bend this month. The public can judge the workshop’s outcome at the new Carme Pinos-designed MPavilion. Cities are complex systems and increasingly technology can provide many forms of data that can be mapped, predicted and adjusted so the city can function more efficiently. Where most cities are using existing data and digital technologies to improve the way the city functions, with Fishermans Bend the Swinburne/MIT team are anticipating how best to equip the area for urban renewal. A virtual reality demonstration at City of Melbourne Knowledge Week. MIT’s Carlo Ratti prefers the term “senseable city” to smart city. Where smart city suggests cold technology a “sensitive city is capable of feeling, of responding to citizens’ needs,” Ratti says. Ubipark is an app that helps find a parking spot. Perhaps the most successful demonstration of smart-city technologies is in mobility. Traffic flows can be adjusted in real time and drivers alerted to accidents and traffic jams. Through public transport apps such as tramTracker, PTV can alert customers to delays, wait times and alternative modes. Meanwhile, parking technology, originally designed to raise revenue for councils, also allows apps such as UbiPark to locate vacant on-street parking. These technologies not only streamline parking but further reduce congestion. Burry suggests at Fishermans Bend street lights might have sensors to monitor contaminants or heat island effects. The information they provide could be used for the health of citizens in avoiding these areas or helping plant trees. “Street lights aren’t just lights, they become a beacon,” says Burry. No city seems to have designed the smart city right, yet. In addition to Spain, countries such as China, India and South Korea see the smart city as a way to run dense metropolises more efficiently and sustainably. 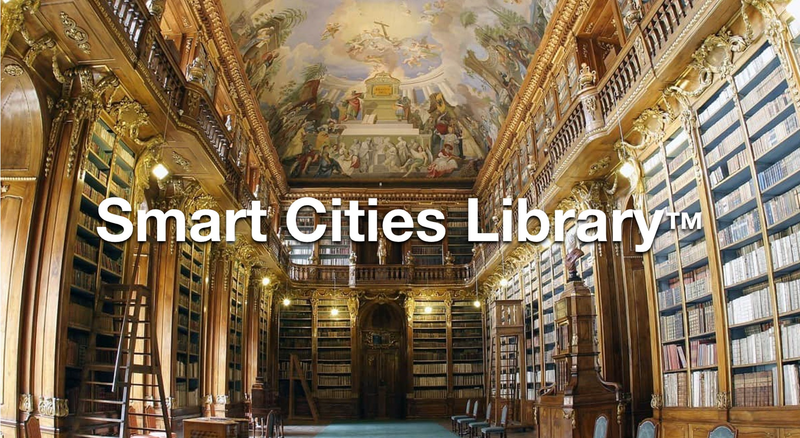 With 66 per cent of the world’s population set to live in cities by 2050, centres such as Britain’s Future Cities Catapult and Singapore’s Future Cities Lab are information hubs sharing knowledge around smart cities. Burry would like to see Victoria adopt the model (beyond just the City of Melbourne’s Smart City Office and Knowledge Week). “It would be a common property like a museum or library,” he says. So how smart is Australia’s thinking around cities? Reimagining Urban Infrastructure for Smart Cities, MPavilion, Victoria Gardens, October 12, 9.30am-12.30pm.